Of course, what would the Age of Sail be without sails!? 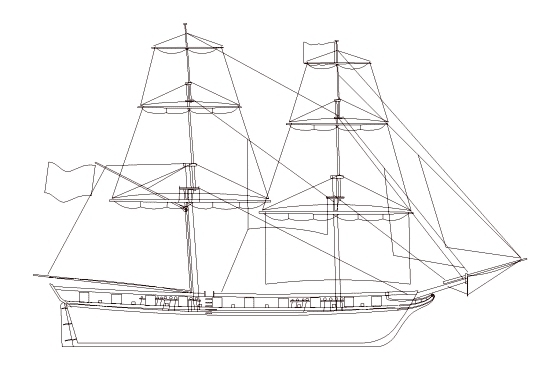 The image below shows a possible sail configuration for Blackbeard's Queen Anne's Revenge. As the final stage in the design process, the spars such as masts, yards, booms and gaffs are designed, including the sails they may carry. 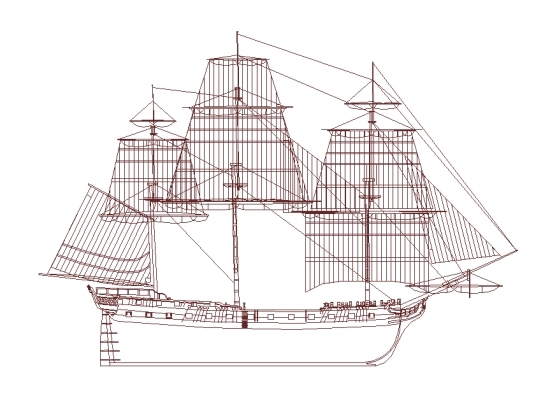 The sails can be in any configuration or may be omitted from the model as some may prefer. 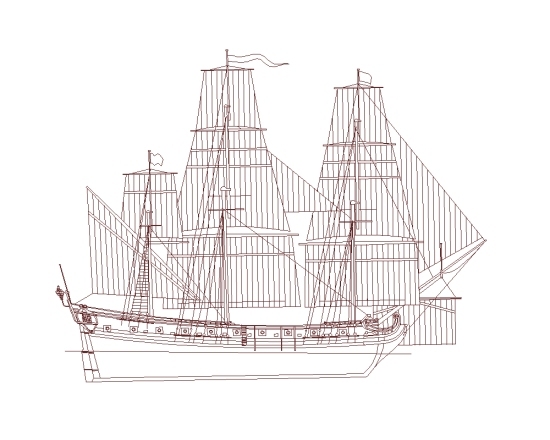 Sailplan as designed for HMS Indefatigable as a razeed frigate (1795).